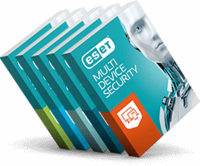 “ESET has been a constant part of our Summary Reports since 2006. With each new version, ESET Smart Security retains its clean trademark detection and sustains its low performance impact. With improved graphic design and finger-friendly controls, we believe that ESET products are suitable for use on touchscreens,” said Andreas Clementi, CEO at AV-Comparatives. In 2015, AV-Comparatives subjected 21 Windows security products from a range of vendors to rigorous investigation. All were tested for their ability to protect against real-world Internet threats, identify thousands of recent malicious programs, and provide protection without slowing down the PCs on which they ran. Learn more about ESET or read more about ESET products in the AV-Comparatives' Summary Report 2015.